Today I asked my 4 year old son Dash what I should draw today, and being the massive Mario fan that he is (he gets it from his Daddy) he said “Yoshi throwing Luigi”. He’s going though a Yoshi and Luigi phase at the moment, he has a set of plush Mario characters and Yoshi and Luigi seem to be going everywhere with him of late. 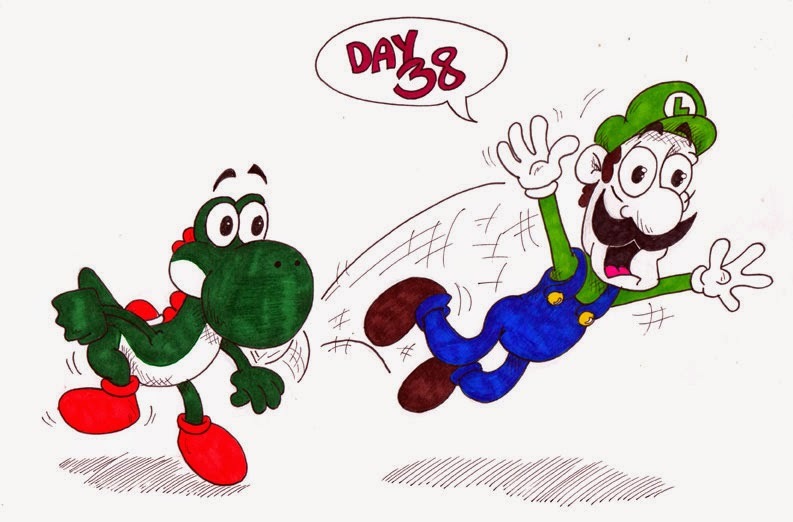 I am rather annoyed that I accidently used the wrong green colour on Yoshi, he should have been the same green as Luigi, but stupid me picked up the wrong pen. Oh well, too late now, just gonna have to deal with it.